Stay at the Finest Homestay When Visiting Bromo East java, Indonesia. 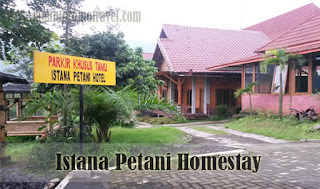 Istana Petani homestay is a perfect choice for those of you who need an affordable place to stay during your vacation in Bromo area. There are many places that you can visit on your vacation in Indonesia. You can go to exotic beaches in Bali or you can spend your time at beautiful villages in Central Java. Other great tourist destination that you can visit in Indonesia is Mount Bromo. Mount Bromo is located in East Java. This mountain is considered as one of the most popular tourist attractions in East Java. The Mount Bromo area is part of Bromo Tengger Semeru national Park then that became location for tourist is basically consists of four different districts, Malang, Lumajang, Pasuruan, and Probolinggo. Before you decide to visit Mount Bromo area, there are several important things that you need to do. The first thing that you should do is planning the date of your visit. Even though you can visit Mount Bromo area anytime you want, you might need to choose certain date so that you can spend your vacation in this area in more comfortable way. Besides planning the date of your visit, you also need to decide where you’re going to stay during your visit to Bromo area. You can choose to stay at Istana Petani homestay if you like comfortable and relaxing atmosphere. Other important thing that you should do is reserving plane ticket or bus ticket to get to your destination. Basically, there are various choices of accommodation that you can find in Bromo area from hotel, hostels, even to villa. For those of you who want to stay in natural environment, homestay is a perfect choice for you. You can find several homestays in Bromo area that offer different facilities. Some homestays might provide jogging track while other homestays might offer hot tub for their guests. Before you came to Bromo, you might need to reserve the room in Istana Petani homestay where you can stay during your visit. By reserving the room, you will be able to spend your vacation in Bromo area in more comfortable way.